It’s been four years since Love Zimbabwe’s first fundraising party was introduced. Theses parties help us raise money for projects at our community centre in Zimbabwe. 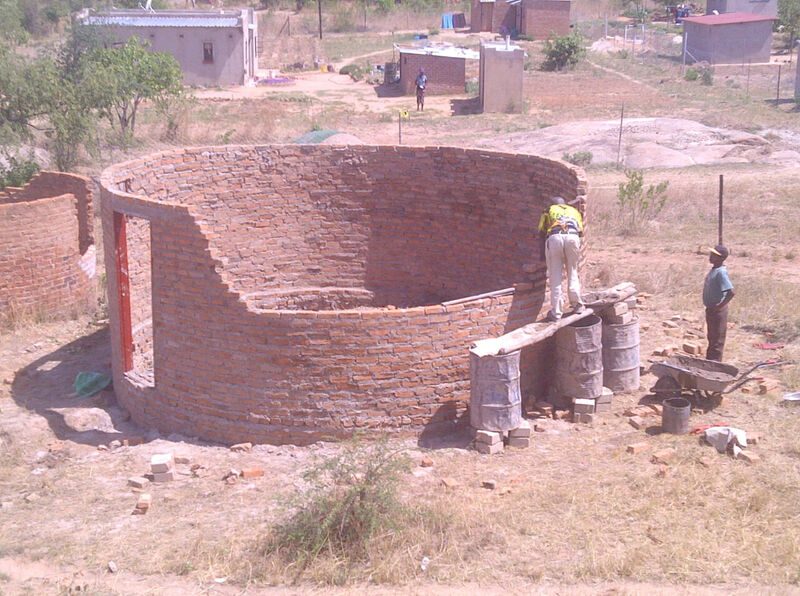 Our main project for the next two years is the construction of a library for our local community. We would be grateful if people could come and support us whilst having a great time. For this years fundraiser, we have chosen a Latino theme. There will be live music and a range of food and beverages. Tickets are £15 per person and can be purchased upon arrival. The fundraiser will be held at our founder’s home, Martha Musonza Holman. Groups from Wales are working across southern Africa to help support partner organisations and communities in the face of severe food shortages. 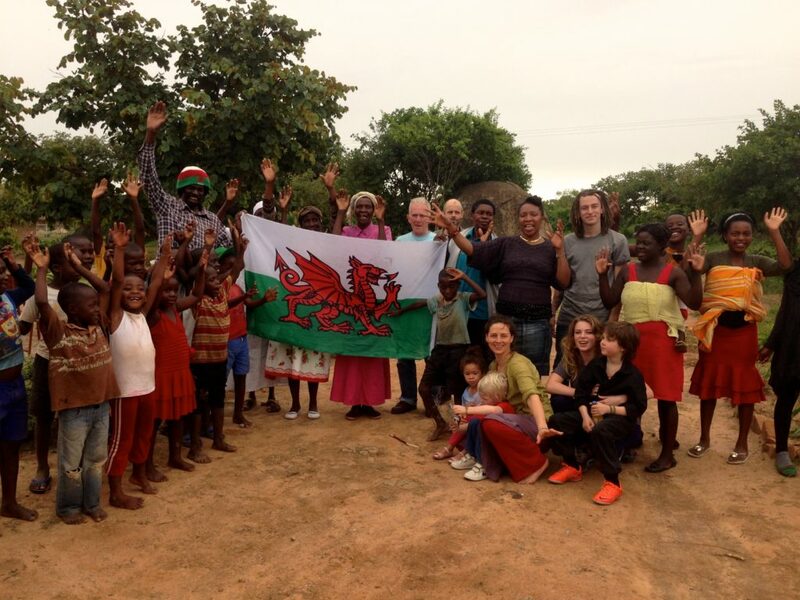 Cardiff based Dolen Cymru, Bridgend based Friends of Monze and Abergavenny based Love Zimbabwe are among the Wales based organisation who are working to support partners in the affected areas. According to UN sources 12.8 million people* in southern Africa have been impacted by the food security issue, with the lowest rainfall in 35 years reported in 8 countries* in the region. The number of people impacted could rise to nearly 36 million people* in late 2016. Cat Jones Head of Partnership at Hub Cymru Africa said: “Vast areas of southern and eastern Africa have seen very little rainfall which means that the staple crops such as maize haven’t grown this season, leaving many without food to survive. The increase in the cost of food can make it up to 75% more expensive just to eat a basic meal and many people are going without. “The most obvious difference to their landscape is the views of wild flowers grown in place of the maize crops. On one hand it is beautiful sight, but the reality for the local farmer and community is devastating. “The maize that is visible is poor and unusable. The prices to buy processed maize to cook ‘Pap’, the Basotho local staple food, have tripled and the changes to water supplies have pushed up the cost of everyone’s utility bills. Some families in the region have resorted to eating only one meal a day to conserve food supplies. School children are dropping out of school to help their families search for water, or to seek work to be able to buy food. 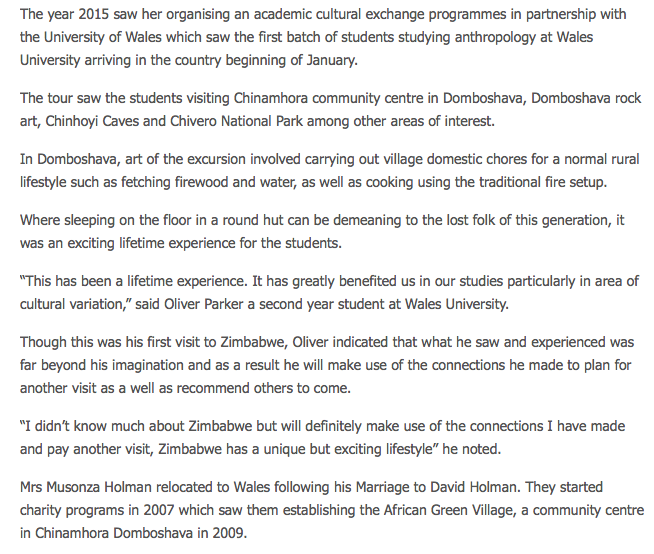 “We visited Chinamhora Village in February this year and found that people are struggling to find food. The drought is still hitting people severely and many people are eating yellow maize – a crop typically reserved for livestock. The current dry weather, parched rivers, and crop failures have severely affected subsistence farmers in rural communities. Villagers are relying on gathering wild fruits to survive as their crops have failed and food prices have risen. With droughts in this part of the world becoming more frequent and more severe as a result of increasing global temperatures and the next rains not due until October, the situation is likely to get worse. Our current trip has been covered by Tendai Mbirimi, from The Herald Newspaper. 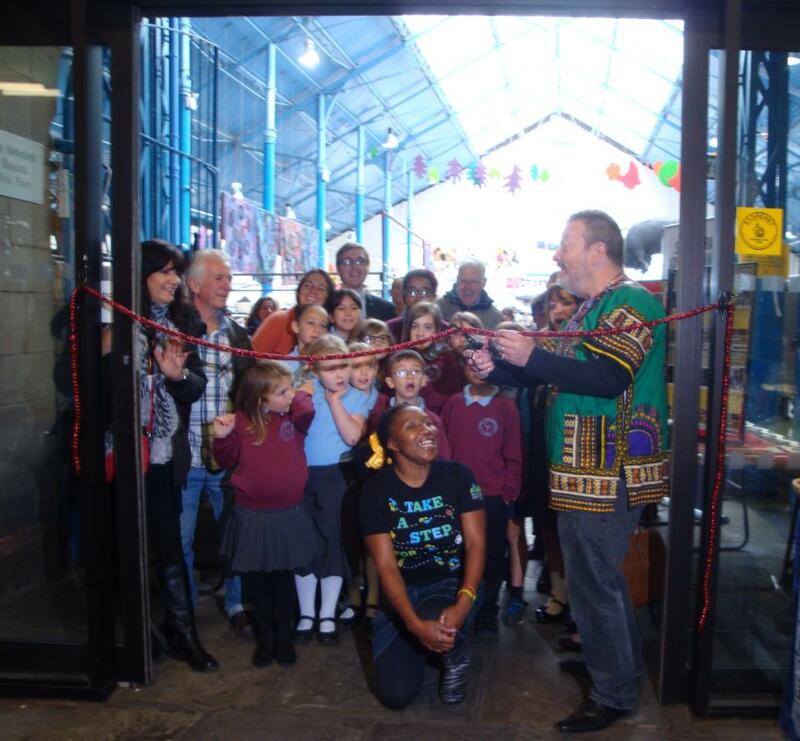 In their opening speeches at this year’s 9th annual Wales Fair Trade Fair, organisers, Martha & David Holman stressed the importance of the event being open to all parts of the community. New partners, Monmouthshire County Council have been instrumental in expanding the focus of the fair to include a huge range of diversity within the county. The weekend has always been about inclusivity and has given a platform to traders and groups from culturally diverse areas around the world. 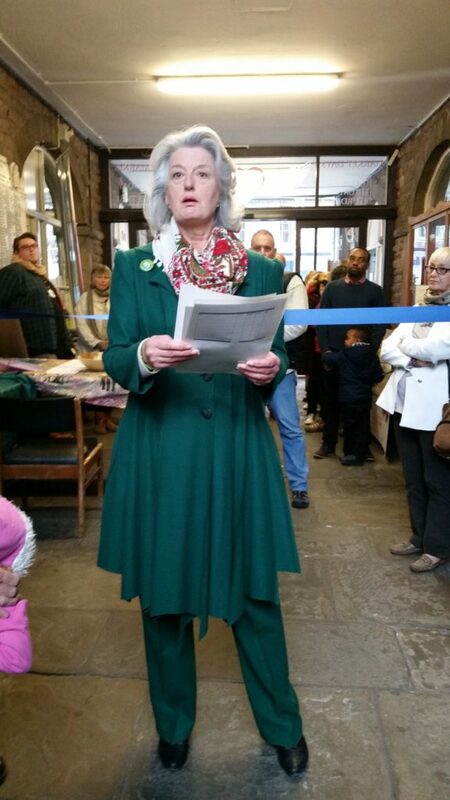 The fair started on Saturday in the Guild Hall, Brecon which attracted nearly 1,000 people and elicited some wonderful comments from the public about the nature of the goods on display. 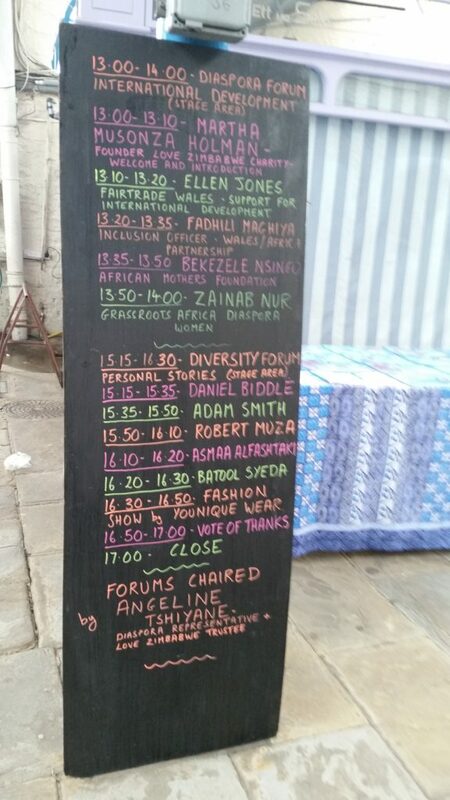 On Sunday, the Market Hall was packed with people wanting to purchase an early Christmas present with a difference from the many amazing and colourful stalls, which included Love Zimbabwe, Fair Grounds, Fair and Fabulous, Ananuca, Tools for self reliance, Dragon’s Garden, Mixy Fandino, Siwok, Bees for development, Crafty Women, 3 Llama’s. V.S.O. ,Hands around the world and Shared Interest. An extremely exotic array of food was available form Taste Zimbabwe, Boonta Too Thai, and a selection of tasty Syrian fare. The event was officially opened by Pippa Bortolotti (leader of the Green Party in Wales) and Councillor Martin Hickman on behalf of the Mayoress of Abergavenny. In her speech, Ms. Bortolotti outlined the importance of Fairtrade and how the balance of trade between nations should change to benefit people more equally. Councillor Martin Hickman praised the new partnership that David and Martha had created with M.C.C. and that the town should be proud of the event and support it fully. He also confirmed his role in the town council as the liason officer with Abergavenny Fairtrade Forum. Another new innovation this year was the Diaspora/Diversity speaker’s forum, organised by Martha and Susanah Kimani-Njogu. The speakers included – Ellen Jones from Fairtrade Wales, Bekezele Nsingo from African Mother’s Foundation, Zainab Nur from Grassroots Africa Diaspora Women, Daniel Biddle – survivor of the 7/7 London bombings, Adam Smith from the Green Party in Wales, Asmaa Alfashtaki from Syria and Batool Syeda from Pakistan. The talks ended with a vibrant and lively fasion show by Younique Wear. This forum was a great success and one of the speakers, Zainab Nur said that it was the best inclusive event that she had ever attended. There was a great programme of entertainment which included – singer/songwriter Ellen Coombe, Chrys Blanchard’s Abercapella, and Blaenavon Ladies Choir with Zim Voices. There was also a welcome return for the very popular sheep racing organised by Jacks Lyndon with many people enjoying the buzz surrounding the races. Martha and David would like to thank everyone who assisted to make the weekend such a fantastic success, and are already planning next year’s event which will be their ten year anniversary. 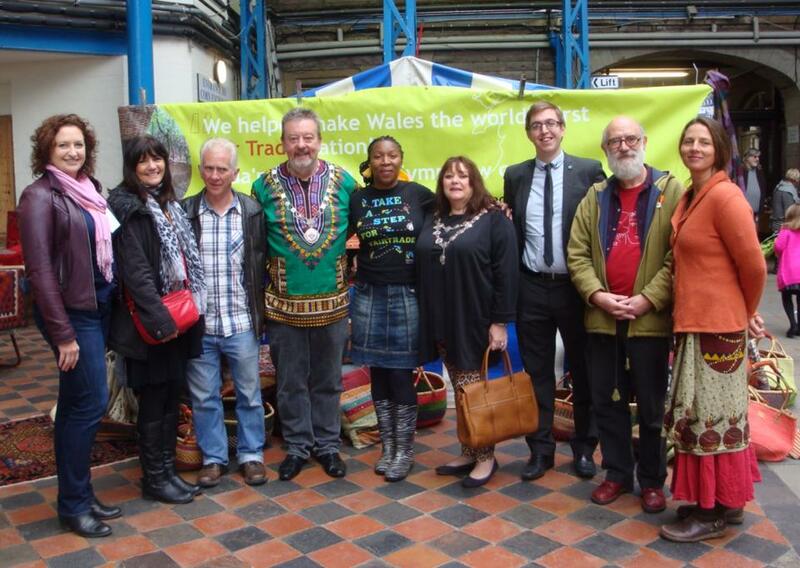 WALES FAIR TRADE FAIR GROWS. This year’s Wales Fair Trade Fair, organised by Gilwern based couple,David and Martha Holman has attracted new vibrant partners. Monmouthshire County Council has joined with David and Martha to broaden the event to include more diversity within Monmouthshire. 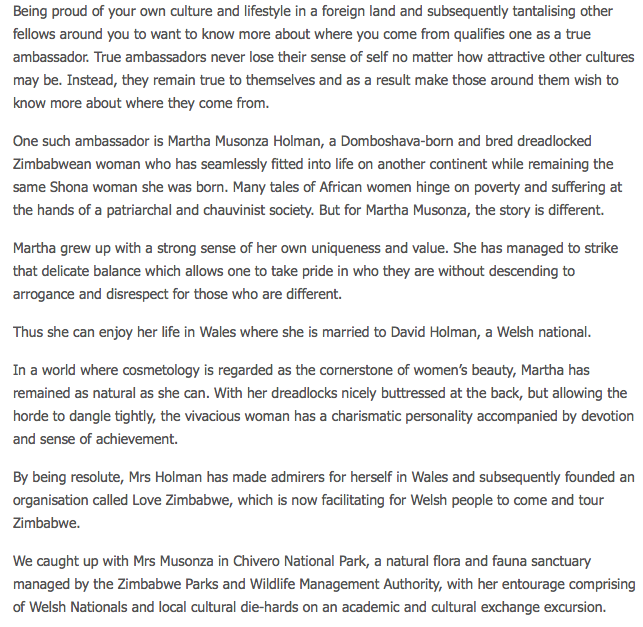 As part of the European Year for Development, Love Zimbabwe Charity which is run by the couple has received a sub-grant by Bond as part of the EYD2015 to enable them to run a series of diaspora story telling workshops around Wales starting in Brecon on the 3rd Oct with a Zimbabwean Story teller Bevin Magama www.magmaticstories.co.uk followed by a series of diaspora speakers on Sunday 4th. October in the Market Hall, Abergavenny. The World Fair Trade Fair starts in Brecon Guild Hall on Saturday 3rd. October at 10am (Adm free) and then moves to the Market Hall in Abergavenny on the 4th. (Adm £1 donation). The Abergavenny event will be officially opened at 11.00am by Pippa Bortolotti (leader of the Wales Green Party) and Cllr. Martin Hickman (representing the Mayoress of Abergavenny). 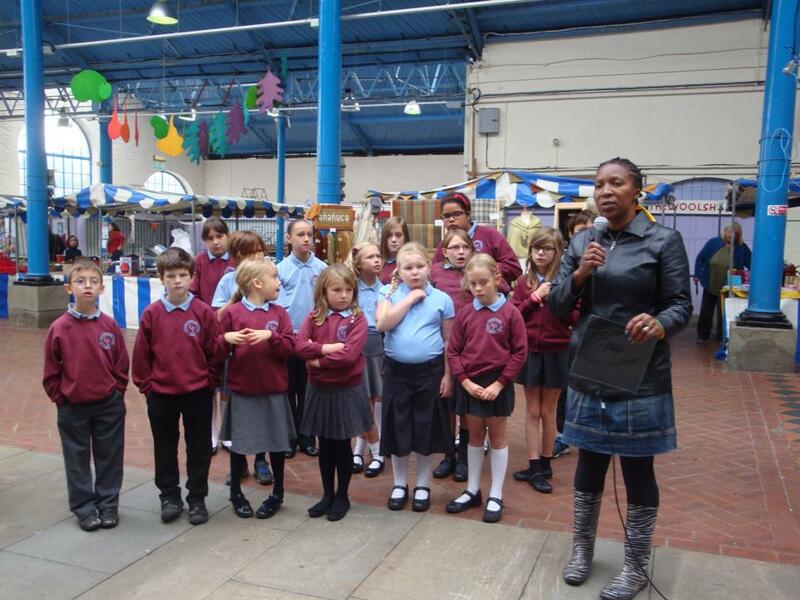 At the opening, Llantilio Pertholey Primary School will sing their winning Fairtrade song from the previous fair. There will be a fantastic range of world food from Zimbabwe, Thailand, India and Syria as well as great real coffee from Yirgacheffe, Eva’s teas & coffees, Divine Chocolate and Bridges Brilliant Bakes. A big hit from three years ago is also returning – sheep racing. Come and have a friendly bet to support Love Zimbabwe charity. Music comes from Chrys Blanchard’s Abercapella, acoustic singer/songwriter, Ellen Coombe and Blaenavon Ladies Choir with ZimVoices. Martha and Susanah Kimani- Njogu have been busy organising the Diaspora/diversity speaker’s forum of which there are many highlights including Daniel Biddle (7/7 bomb survivor), Elen Jones (Fairtrade Wales), Asmaa from Syria and Mrs Katsande from Zimbabwe. Come and have a great day out and bring the family! This year’s 9th annual Wales Fair Trade Fair, the largest in Wales is in Brecon Guild Hall on Saturday 3rd October and Abergavenny Market Hall and Borough Theatre on Sunday 4th October. Building on last year’s success , which saw some 2,500 people attending, this year will once again provide a great weekend with fabulous fair trade and community stalls, dancing and musical entertainment and delicious world cuisine. Ever keen to create more community links, this year’s fair is promoting local diversity and inclusion with workshops and information stands about local and global initiatives. Organisers, David and Martha Holman are working in partnership with Monmouthshire Voices and Monmouthshire County Council to celebrate the diverse and inclusive nature of Monmouthshire. The Mayor of Brecon will open the event on Saturday, and Pippa Bortolotti, leader of the Green Party in Wales with the Lady Mayor of Abergavenny, Councillor Maureen Powell will open the Fair on Sunday. Pupils from Llantilio Pertholey primary school will perform their winning Fairtrade song. Love Zimbabwe has won European funding enabling them to bring Taurai Sinaro (manager of the community centre) and Mrs Katsande (manager of the mothers of disabled children group) to Wales. They will visit schools and community groups to talk about their experiences of running their organisations in Zimbabwe and why Love Zimbabwe’s help has made a difference. They will also be guest speakers on 4th October. Selling fairly traded goods from around the world, stalls include Love Zimbabwe, Fair Grounds, Fair and Fabulous, Siwok Crafts, Liberation Nuts, Ananuca, Hempish, Zimele, Yirgacheffe,Dragon’s Garden, Equality Ethical, Kitan, and African Baskets. Charity and information stalls include Tools For Self Reliance, Brecon Rotary Club, Shared Interest, Health Help International, VSO, Send a Cow, Palestine goods and also Fairtrade groups from Abergavenny, Crickhowell and Usk. Musical entertainment on Sunday features the Blaenavon Ladies Voice Choir, Zim Voices, Chrys Blanchard’s Abercapella, African drumming. 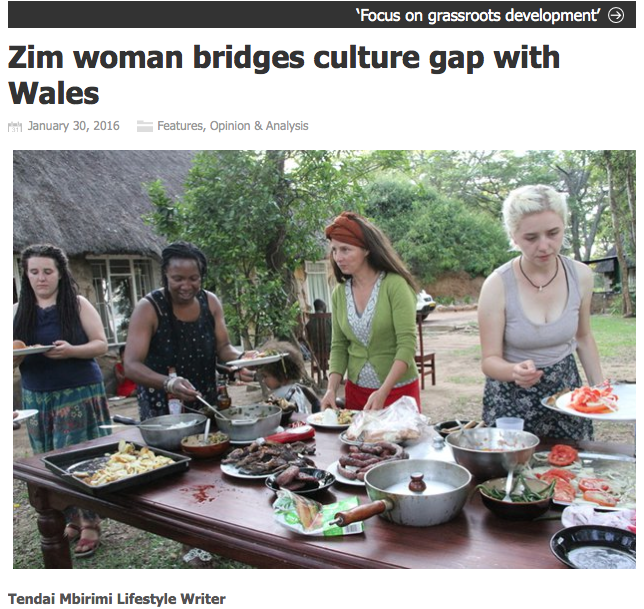 Food will be provided by Taste Zimbabwe and a selection of other world foods. There will be plenty for children to do in the children’s area including face painting, willow weaving and soap making. There’s even sheep racing! Local charity, Homemakers are providing a ‘chill out zone’ with comfortable sofas and chairs where you can drink Yirgacheffe fairly traded coffee and enjoy a home-made cake whilst browsing African arts and crafts books. Sunday 4th October, Market Hall, Abergavenny (10am-5pm). Admission by a suggested donation of £1. Under 12’s free. Follow us on facebook: Wales Fair Trade Fair. A collaborative piece from Sam Hawthorn, Dan Grimshawe, Martha Musonza-Holman, Steve Jarvis and Taurai Sinaro. Wow what an experience! Just five and a half weeks felt like a lifetime! We were all really touched by the spirit of Africa, and are deeply grateful to have had the possibility to travel to the community centre and experience life together there. 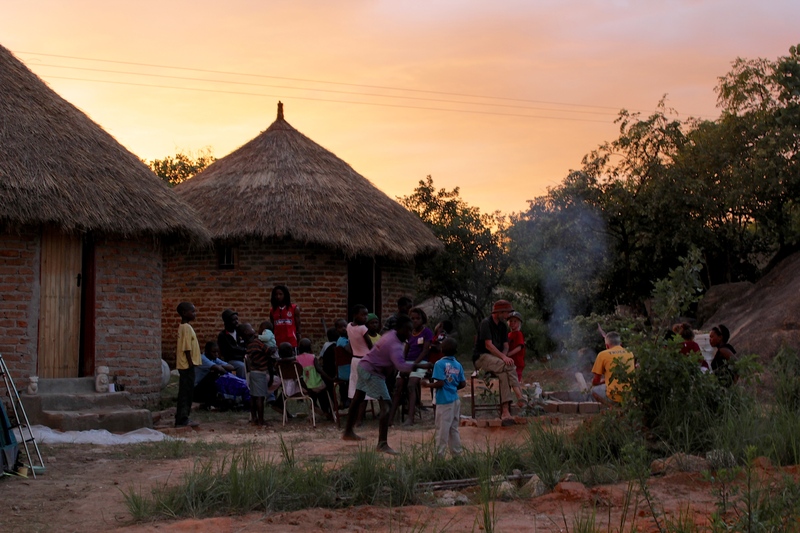 Life started quickly in Chinamhora, many friends to make, children to greet, it took a few days to settle in, especially the children who were the centre of attention for all the local boys. After that period, the work started as everyone became accustomed to village life. Thank you very much to Martha, Dave and their family and friends, to Martha’s mother, Gogo Rosie and her family, to the mothers, the children and the men of the community, for the warm welcome and support we received during the visit to Zimbabwe this year. Our lives and those of our children were deeply enriched and inspired by the experience and by the friendships and connections we all made there. We were all sad to leave, and hope to return again. Within the scheduled time, the water tank was built with a lot of help from everyone there, and the tree nursery with shade nets was constructed. As well as many other projects, these along with the tree planting, were my main focus. At times I had to overcome my frustrations, which were related to material availability, tool scarcity etc. When you have no access to things like a cordless drill (or any drill) and a saw that China sends willingly at a high price but then decides it doesn’t like its job after all, a broken tape measure, but god bless the multi-fix-all ability of wire, it’s tough. This is the situation for the majority of the world’s population, and it was a learning experience for me to see how well the local people cope, along with a strong trait for adaptability. On a personal level I thoroughly enjoyed my visit. To be in Africa, the birthplace of humanity, the music, wildlife, stories and the open-hearted people, who struggle so much day to day, truly touched my heart. Visiting Lake Chivero was the highlight for the boys and us all I think, especially seeing the crocodiles. It was a welcome break from the work at the center and driving to meetings, town, shopping etc. By the end of our visit, everything we set out to do had been achieved and we were all still talking to each other. So a successful trip all round. At times it was hard and the challenges of Zimbabwe are huge compared to life here. To not have a dollar in your pocket (or know when your next one might come), the small projects set up in Chinamora could help in an encouraging manner, even in the way of people feeling they are not alone in the world and others are willing to help. The visit for me was definitely a two way exchange – I have come home with rich memories of how people can share, laugh at dire situations and, with a strong sense of family bonds, move through hardship. The centre, projects, gardens and people evolved during the visit, moving and growing through different phases and stages, until finally the grand opening day was held on our second to last day. Martha, Dave and Taurai gave a tour of the centre and land, past the two new African huts, then the new septic tank, and onto Taurai’s talk about the thriving sustainable gardens and methods he is trialling from his training in Uganda. The gardens are now protected with a new chicken and goat proof fence, and newly planted hedge of acacia. We passed the new water collection tank, next to the new tree nursery, where Taurai’s new contacts and partners from the training centre gave an informative talk about the importance of agro forestry and planting trees from seed. Then the Headman cut the opening ribbon to the newly completed and painted working toilets and showers! The Headman promptly shooed everyone out so he could christen the toilet! He emerged looking very content. The women were sewing the moon pads, and gave one out free to every woman at the open day, and showed others the work they were doing. Congratulations to everyone on all their hard work, and so much appreciation of the time and commitment all put into the whole trip so we could achieve so much. When it comes to supporting projects and individuals in the community, I found that it is essential to critically analyse the repercussions of the support before providing it. We are a small charity and funding is extremely tight, whilst we are in Zimbabwe there are so many people who rely on us and hope that we will sponsor them for the year. But, as a charity the hardest thing is remembering that there isn’t enough money to support everyone. In the UK and Zimbabwe, we constantly fundraise and seek funding, but I cannot emphasize enough that the work we do is only made possible by our supporter’s kind donations. We are still a small charity and each trip brings back a lot of education, every year I feel that Love Zimbabwe is becoming better known. I want to thank everyone who went to Zimbabwe on this trip, there was so much work that was accomplished in such a short period of time. Taurai (Our community center manager), your team at the community centre is amazing. Keep up the good work. I am so impressed with the key-hole garden and the other little nitrogen gardens that you have planted around the centre. It was so difficult to leave, especially with the newly implemented flush toilets and shower! Every time I return to Africa, I learn so much more about myself. My tolerances, needs and necessities, how to adapt to different situations and abilities to communicate. The most fulfilling aspect of the work Love Zimbabwe does is the fact that it provides individuals with so much inspiration. The rich knowledge you gain from each trip would be impossible to teach without experiencing it and living within the real Zimbabwe. Being on the ground and providing so much support to Zimbabweans who genuinely need it is far more rewarding than anything I have ever done. On returning back to New York, I feel completely refreshed and as an artist, I take so much from these lived adventures. I cannot stress enough how much Love Zimbabwe depends on support from our supporters, the work we do couldn’t be possible without you. The bright future is there!, LoveZimbabwe is really growing and I am excited with the MOUs ( Memorandum Of Understandings) that were signed between the charity and different government bodies here! I would also like to thank the trustees and volunteers who were with us for the past month, may the almighty bless you all for your kindness! I think we were all humbled by the generosity, resourcefulness and resilience of the people. Today I saw a quote..
“Many thanks for the extra money for the building project, the first hut should be complete by end of this week. The second hut will be finished by the time Sam (Trustee) gets here in January, we have already started working on it and are progressing very well! We will try to cover a lot before we give the builders a short festive holiday next week. Once again, many thanks for the support you are all giving, it is greatly appreciated! Apart from the building project, the rains have just graced us and I am now tirelessly working on a lot of permaculture design models. The good thing (or bad thing as most people will say here!) is that the government has not been able to give enough supplies of fertilizers as it normally does so it means people really need to find alternatives and that’s when we shall come in once our designs are fully functioning. I’m counting on Sam to help me with that when she comes. The chicken project is still very much alive and we are already planning for the next step! All in all, it has been a very good year here and I look forward to a great 2015! I would like to wish you all a merry christmas and a happy new year!! A photo of the first hut taken in January 2014. Due to the lack of funds our progress had to be put on hold. 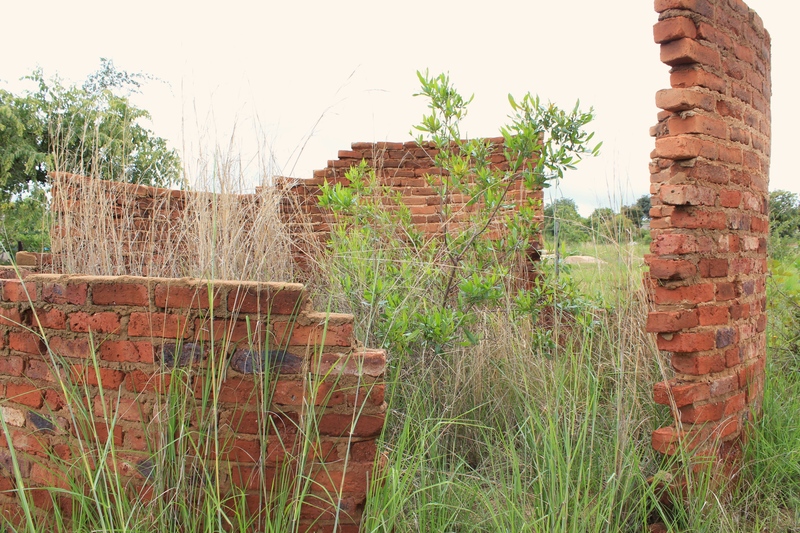 We have set out plans to build a traditional African village on the community land in Chinamhora, where, in the future, visitors will be able to stay and experience life in Zimbabwe on a cultural exchange. 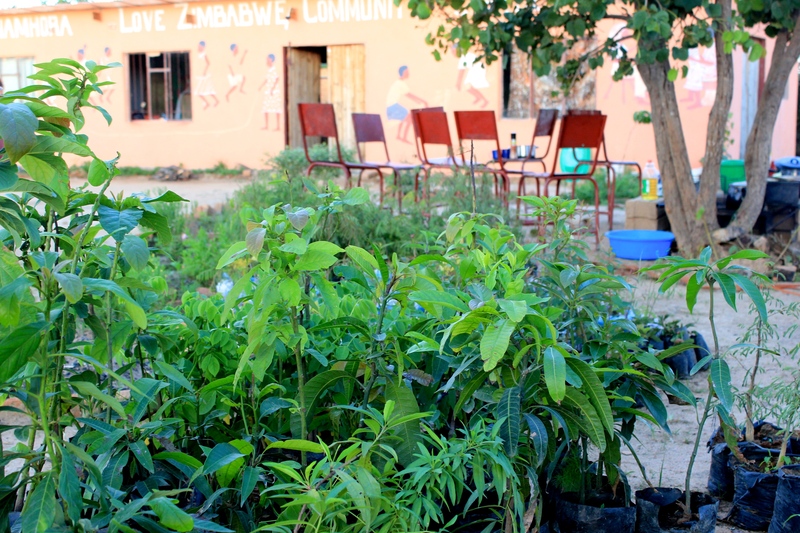 Find out more about what we are doing to incorporate permaculture within the community centre. We have already built a chicken run which can house up to 200 chickens to provide vital food to the community. This is one of the most important steps in the setting up a sustainable food supply which doesn’t have a high ongoing cost. A recent photo of the second hut taken by Taurai this month. You can get involved and have some fun as well. Why not hold your own fundraiser during December and have your mates round for mulled wine and mince pies (we like alliteration)? 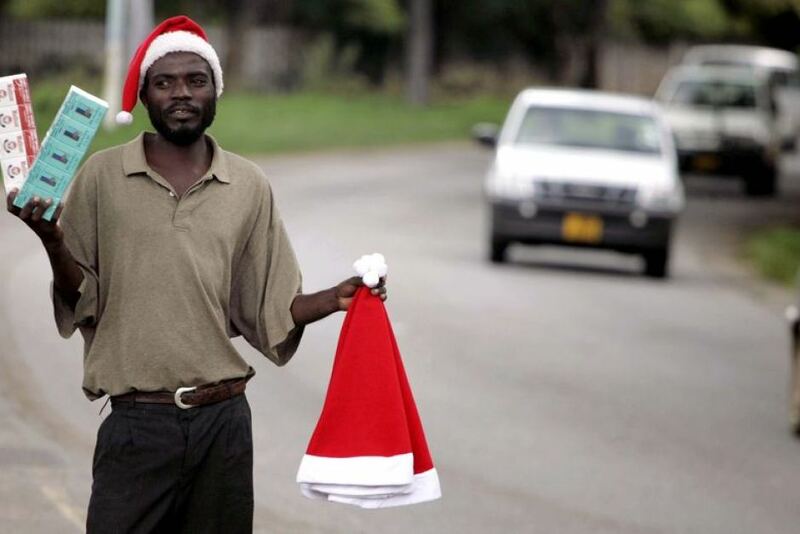 It’s an easy way to make a huge difference to Love Zimbabwe during the festive season. That’s just one idea, maybe you have some more. Please let us know what fundraising you’re doing for us, and send us your pictures on Facebook or Twitter. Come back soon for some more of our fundraising ideas – we’ll show you how to put together your own African themed evening with recipes, music playlists, plus traditional outfits for men and women. Siyaya entertaining at the Wales Fair Trade Fair, Abergavenny. Thank you to everyone who helped us create another successful Fairtrade weekend. This was our eighth year and the event is growing as a cultural, fair trade event in Wales. We started the weekend off in Brecon at the Guildhall, on a warm, sunny Saturday (in October)! 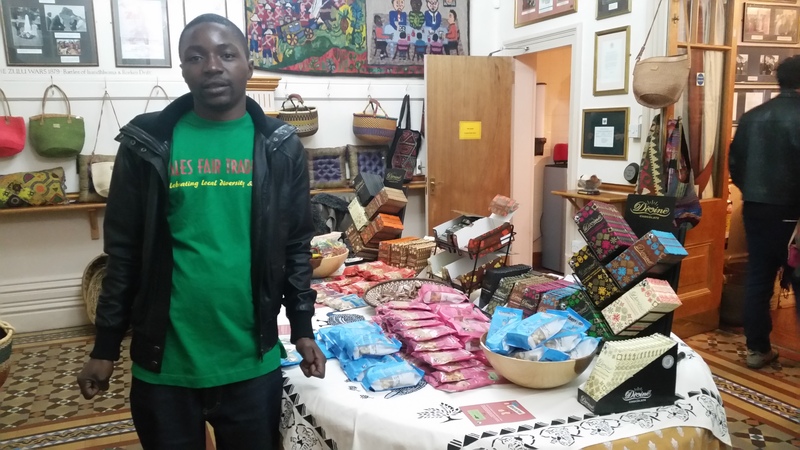 We were fortunate to have Bevin Magama, a storyteller and performer from Zimbabwe, playing traditional African instruments as people entered the fairtrade market, creating a wonderful atmosphere. The market was well attended – we raised awareness and collected lots of donations for the charity with a raffle, which was drawn in Abergavenny on the Sunday. On Saturday evening, The Zim Voices, a women’s song and dance group, supported by Mr Magama entertained us with ‘A Day In The Life of a Zimbabwean Village’, incorporating traditional music and dance. The performance was funny and very enjoyable. 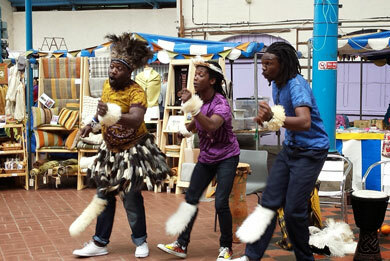 On Sunday in Abergavenny Market Hall we had more Fairtrade stalls and a huge amount of entertainment, the highlights of which were lots of Zimbabwean music and dancing from Siyaya and a wonderful performance by over very own Abercapella, from the area. We met lots of new people as the event was very well attended again. Thank you to all. We look forward to welcoming you next year for more Fairtrade stalls, singing and dancing and FUN! Our annual Fairtrade event usually takes place on the first weekend in October each year. Copyright © 2019 Love Zimbabwe Charity All Rights Reserved.